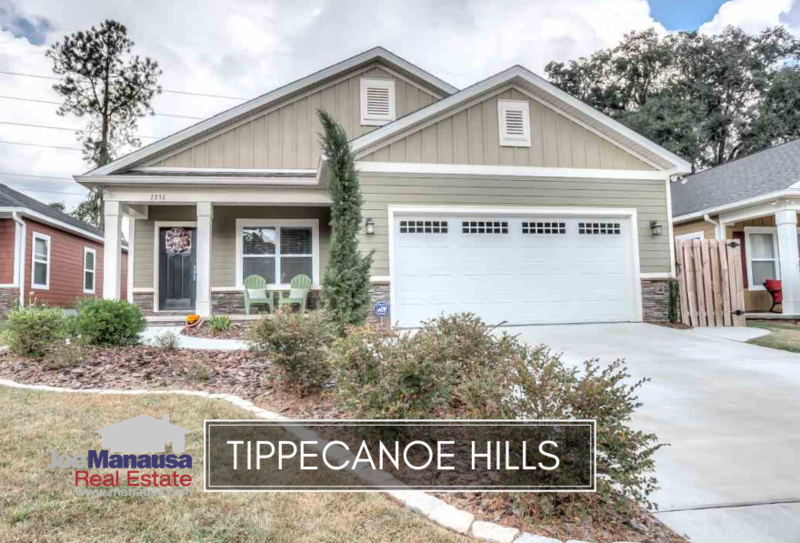 Tippecanoe Hills offers today's buyer both existing and new three and four bedroom homes in a location that provides great access to the entire West side of town. 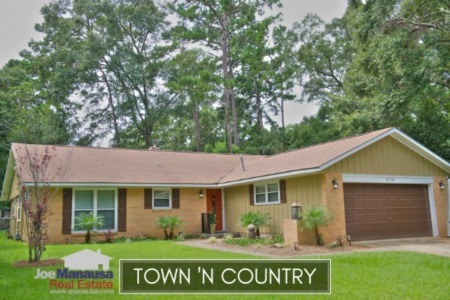 The Northwest quadrant of Tallahassee hosts 30% of all homes sold this year, and many of the new construction opportunities like Tippecanoe Hills, priced below $300,000, will be found here. Following in this report are graphs showing trends in home prices, home values, and home sizes in Tippecanoe Hills, as well as a list of all closed home sales going back to 2013. It is important to note that the narrative contained below is through the end of the year for all previous years, and through November in 2018. The graphs and the closed sales table will be continuously updated into the future (and you can always track current listings and sales on the Tippecanoe Hills Neighborhood Page here). Average home prices in Tippecanoe Hills rose more than 8% in 2018, reaching an average price of $245,000 which has set an all-time high for this neighborhood. Activity in Tippecanoe Hills was strong to start the year, but the combination of rising mortgage interest rates and higher asking prices by builders have slowed buyers for the time being. Currently, there are 7 homes for sale in Tippecanoe Hills, five are new construction, two are resales. Of the seven available, only one resale is currently under contract. Average home values in Tippecanoe Hills are up nearly 6% in 2018, a reflection of the rising cost of new construction and the demand for homes in this price range. Through November in 2018, the average value of a home sold in Tippecanoe Hills has been $150 per square foot. Expect the impact of rising mortgage interest rates to quell appreciation here as sticker shock has slowed buyer activity. The average home size sold in Tippecanoe Hills typically falls in a range of 1,500 to 1,700 square feet, and 2018 is no different. The 17 homes sold in 2018 have averaged 1,633 square feet. The following list shows more than 70 home sales in Tippecanoe Hills going back to 2013. 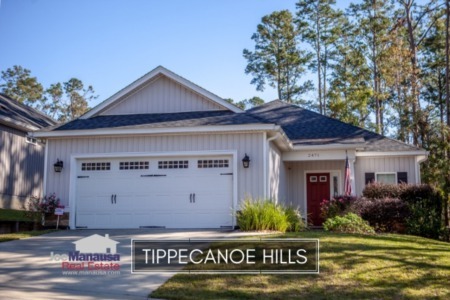 This concludes our December 2018 update on home sales in Tippecanoe Hills, please give us a call at (850) 366-8917 or drop us a note if you have questions not covered in this report. Before you buy or sell a home, talk to the top real estate agent in the Tallahassee area! 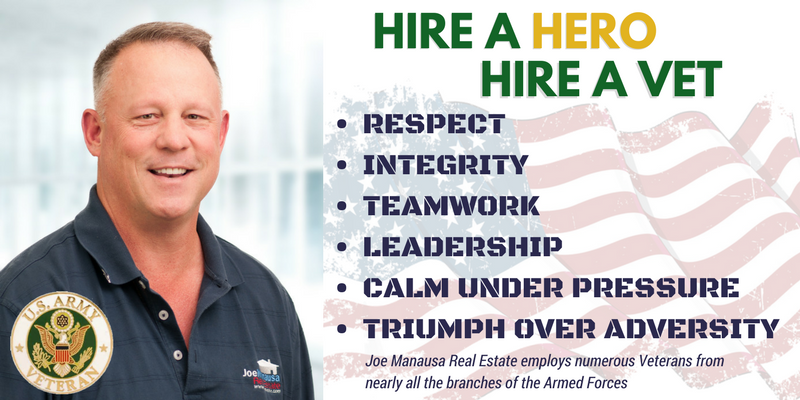 Here's what people are saying about working with Joe Manausa Real Estate, you can see hundreds of real customer reviews reported on Google, Facebook and Zillow right here: http://www.manausa.com/testimonials.